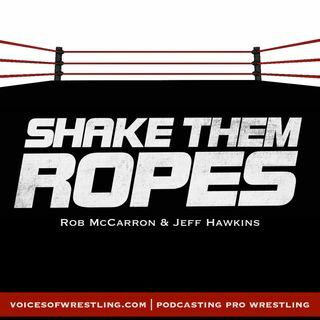 Shake Them Ropes is a pro wrestling podcast hosted by Rob McCarron with Jeff Hawkins. Each week, we'll review WWE Raw on USA Network, NXT, and talk various other topics revolving around the world of professional wrestling. Join the action by tweeting, calling, or emailing your thoughts to us! More info on contacting the show at voicesofwrestling.com/str!